If you live in Tasmania and purchased your solar power system before 30th August 2013, you receive a 1:1 Feed In Tariff guaranteed until 31 December 2019; i.e. you receive the same amount for every kilowatt-hour exported that you pay your retailer to import electricity – which is about 26c. This was to reward early adopters of PV in Tasmania as solar panels and other components cost far more than they do now. For rates post-31 December, see the rate review section below. Systems less than 10kW bought after 30 August 2013 receive a feed in tariff rate of 8.541 c/kWh from July 1 2018. For solar power systems over 10kW, the buy-back rate is determined on a case by case basis; so if this is your situation, we wish you the best of luck in negotiating a good deal for your valuable solar electricity exports. If you are on the 1:1 TAS feed in tariff and you upgrade your system, you will lose your solar FiT and be booted onto the 8.929c buyback rate. Bummer! There will be no change to the standard rate for the 2018/19 financial year. For those on the 1:1 Premium Transitional FiT, as from January 1, 2019, they’ll be switched to the standard current rate of 8.541 c/kWh, plus receive an extra 5 c/kWh – 13.541 c/kWh all told. This arrangement will be in place until December 31, 2019, after which time just the standard rate will apply. If you want to try and get a better deal on your electricity in Tassie – the news isn’t good! All residential customers in Tasmania are currently “non-contestable”, which means that you have to purchase electricity from Aurora Energy, or go off grid; something that really isn’t economically viable for most Tasmanians (but battery prices are coming down). Official solar Feed In Tariff information, straight from the horse’s mouth (Tasmania’s Energy Regulator), can be found here. 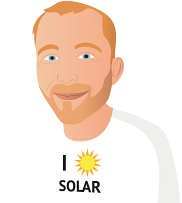 If you’re a Tasmanian considering going solar, read our helpful beginner’s guide and check out reviews of solar installers in Hobart and Launceston in the SolarQuotes network.